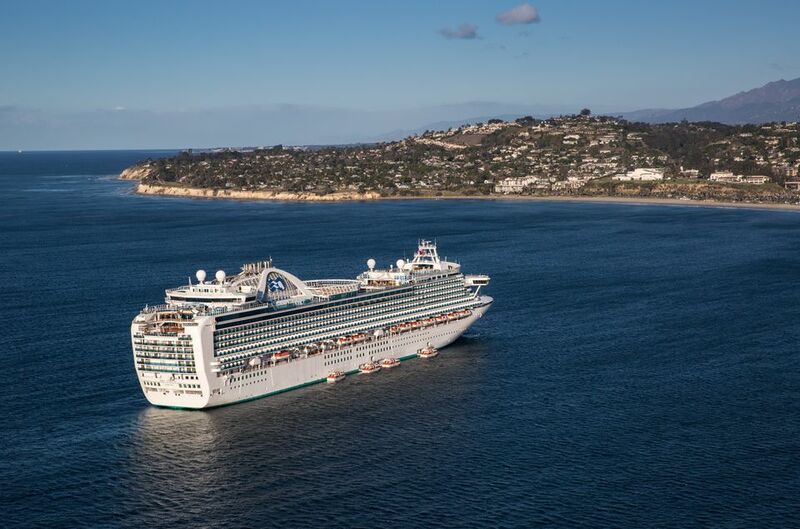 The Ruby Princess is the 17th cruise ship in the Princess Cruises' fleet. 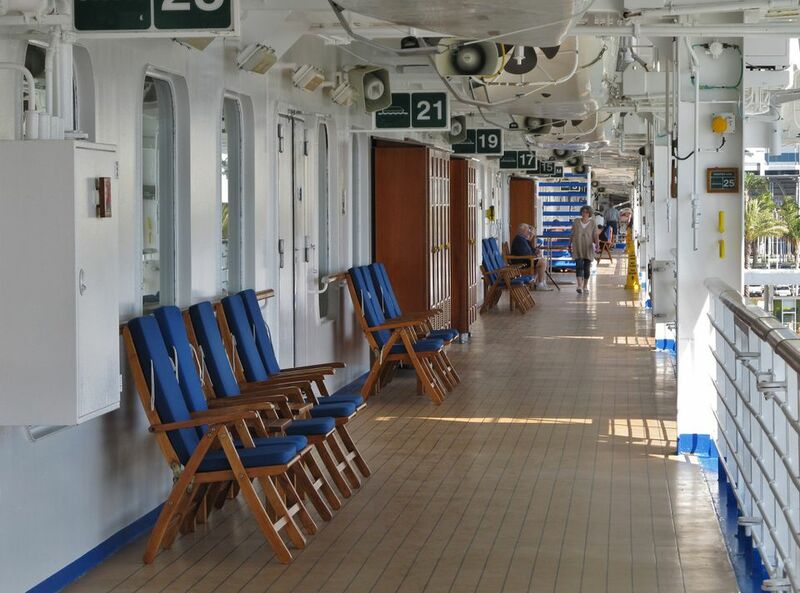 The ship and its staterooms are almost identical to those on the Emerald Princess and the Crown Princess. The Ruby Princess has five basic different types of cabins. The staterooms range in size from 160 square feet to 687 square feet, and all include twin beds that can be converted into a queen, refrigerator, television, closet, and bathroom with shower (mini-suites and suites have a tub/shower combination). As you move up in price and size, the amenities increase. Although the oceanview cabins are about the same size and configuration as the interior cabins, they have a window. Adding a balcony gives you private space outdoors and a desk. The mini-suites are larger than the balcony cabins, with two TVs, a separate sitting area with a sofa bed, and desk. The suites are definitely luxurious and include breakfast in Sabatini's, which is a real treat. A balcony cabin on the Ruby Princess features two twin beds that can be put together into a queen-size bed. Other amenities include a refrigerator, television, spacious closet, desk, and bathroom with shower. The Ruby Princess balcony (veranda) cabins are approximately 233 to 285 square feet, including balcony. Ruby Princess interior cabins feature two twin beds that make up into a queen-size bed. Other amenities include a refrigerator, television, closet, and bathroom with shower. Approximately 160 square feet of space. A Ruby Princess mini-suite with balcony is larger than a balcony stateroom. The Ruby Princess mini-guide is approximately 323 square feet, including balcony, compared to 233 to 285 square feet in a balcony stateroom. Like all the cabins on the Ruby Princess, the mini-suite include two twin beds that make up into a queen-size bed. A separate sitting area features a sofa bed and desk for lounging, entertaining or writing. Other amenities include a welcome glass of champagne, two televisions, a refrigerator and a walk-in closet. The full bath includes a combined tub and massage shower head. The Ruby Princess mini-suites have a nice-sized balcony, but it is not covered, so passengers on upper decks can look down on your balcony. The sofa makes out into a sleeper bed in a Ruby Princess mini-suite. An ocean view cabin on the Ruby Princess features two twin beds that make up into a queen-size bed. Other amenities include a refrigerator, television, closet, and bathroom with shower. Although all ocean view cabins have a picture window, categories E-G have obstructed views. The ocean view cabins are slightly larger than the interior cabins, with approximately 158 to 181 square feet of space. For those of us who travel with a laptop, a desk is a necessity. Even the interior and ocean view cabins have a small desk on the Ruby Princess. A suite on the Ruby Princess includes all the deluxe amenities of a mini-suite, plus luxury teak balcony furniture, deluxe canapés, fresh flowers, DVD/CD player, free access to a DVD library, one complimentary mini-bar setup, a roomy walk-in closet, upgraded bathroom amenities, complimentary use of the Lotus Spa Thermal Suite, laundry and dry cleaning services, and web access in the Internet Café. The suite range in size from approximately 461 to 687 square feet, including balcony. The Ruby Princess Penthouse Suite has two sliding glass doors leading to a large balcony. The bathrooms are significantly larger and more luxurious in the penthouse suites on the Ruby Princess. The tub/shower has a glass door and upgraded tiles in the Penthouse Suites on the Ruby Princess. The balcony is larger and has nicer furniture in a penthouse suite on the Ruby Princess. The Ruby Princess Penthouse Suite has a large sitting area. The Ruby Princess Penthouse Suite has a nice entry-way leading to the sitting room. Ruby Princess mini-suites and suites have a tub/shower combination. All of the other cabins have a shower only. Bathroom storage on the Ruby Princess cruise ship is included in all interior, ocean view, standard balcony, and mini-suites. This is a typical Ruby Princess stateroom closet. The closets in all cabins except suites look basically the same.